A family is never fully prepared for the death of a loved one. Even when expected, the passing of someone you love is difficult and sad. The devastation and grief can be even more extreme when the death is sudden, unexpected, and the result of someone else’s reckless behavior. Often family members have many questions. You may want to pursue justice for your loved one, but you aren’t sure how or if it’s even possible. Distraught families deserve answers and accountability as they face a changed future. The experienced wrongful death legal team at Parker Law Firm understands what a trying and confusing time this can be, and they are here to protect the rights of every family. With many years in the Texas civil justice system, Brad Parker and his team provide grieving families with the compassionate and tenacious advocate necessary to obtain justice for your loved one and compensation for your surviving family members. If your loved has died because of another person’s negligence in Texas, it may be possible to pursue a wrongful death claim. Call the Parker Law Firm in Bedford, Texas, to find the information you need and arrange a complimentary strategy session. A wrongful death claim in Texas is a lawsuit filed by surviving family members when a person dies as a direct result of the “wrongful act, neglect, carelessness, unskillfulness, or default” of another person. Everyone has a duty to behave in a manner that encourages the safety of others, and when someone fails to respect that obligation, he can be held accountable. Wrongful death claims commonly arise from accidents involving drunk, distracted or fatigued drivers, dangerous products, unsafe work conditions, and much more. Different from a criminal case, a wrongful death claim is a civil procedure. Family members decide to pursue a case privately against the responsible party, regardless of whether criminal charges are filed or not. To be successful, family members must prove that the actions of the responsible party led directly to the death of their loved one, and the loved one would have lived if not for the behavior of the defendant. Spouse. Both legal and common law spouses can file a claim. 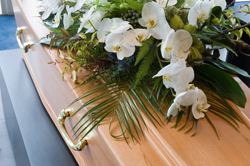 A spouse who has remarried since the death is also permitted to pursue a wrongful death case. Children. Biological and adopted children are also able to pursue legal action against those responsible for the death of a parent. Adopted children may only bring a claim for an adoptive parent, not a biological one. Parents. Similarly to children, parents are able to file a claim after the death of a biological or adopted child. Some states impose restrictions even on these family members based on age or dependence, but that is not so in Texas. Surviving family members may file singly, or they can all file together. Additionally, if family members do not file a claim, the executor of the deceased’s estate may file a wrongful death lawsuit on behalf of the estate. If the family does not wish that a claim be pursued, they can prevent the executor from filing the claim. If you are unsure if your relationship makes you eligible to file a claim, don’t hesitate to contact the experienced wrongful death attorneys at Parker Law Firm. Every family is different, and family relationships are not always easily defined. Our wrongful death attorneys can help you examine your situation and determine what options are available to you. Additionally, Texas law allows surviving family members to seek exemplary damages in certain cases, where the death was a result of a willful act, omission or gross negligence of the person responsible. Exemplary damages, also known as punitive damages, are meant to punish the responsible party for the negligent and reckless behavior. Surviving family members have two years from the date of the death to file a wrongful death claim. If you fail to pursue a case outside this statute of limitation, the courts will refuse to hear your case. While it can be difficult to think of facing a legal matter during this trying time, the experienced and compassionate legal team at Parker Law Firm is here to help ease some of that burden and fight for the justice and compensation your family deserves. Our experienced wrongful death attorneys have helped grieving families just like yours before, and he works tirelessly to provide the information, guidance and vigorous representation that can protect your family’s future. If someone you love died because of another person’s careless behavior, you may be eligible to file a wrongful death claim. Call our wrongful death attorneys at the Bedford office today to schedule a complimentary strategy session to learn more about your options. If you prefer, take a moment to fill out our online contact form, and you’ll receive a prompt response from a member of the Parker legal team.